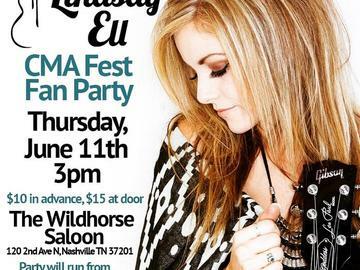 Come to my CMA Fest Fan Party - Thursday June 11th 3pm! VIP Party Bags tickets are now sold out, but there are still a few more tickets left to come to the show. Party will include an acoustic performance, meet & greet and some surprise guests! I'm excited to also have BRAND NEW merch for sale at the party....come get it!